For centuries, only wealthy children were educated. However, Martin Luther transformed education when he declared that the New Testament's assertion of the "priesthood of all believers," meant that every person needs to be able to read and write so that they can study the Scriptures for themselves. 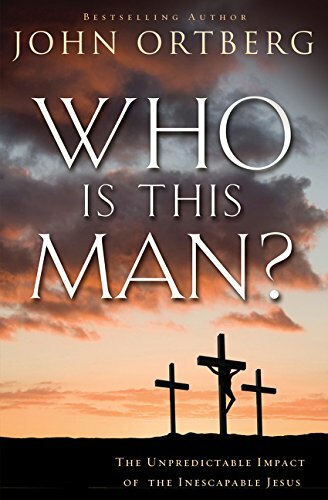 In his powerful book, "Who is This Man?" author John Ortberg writes, that Luther's declaration "led to a goal of universal literacy for everybody in a society." In America, the first law to require mass universal education was declared in Massachusetts in 1647. Unbelievably, it was called "The Old Deluder Satan Act." Why? One of the chief goals of that "Old Deluder, Satan" was to keep man from a knowledge of Scripture! As Ortberg put it, "Ignorance is the devil's tool, that God is the God of truth." Within six years of landing in the Massachusetts wilderness, "Puritans established what would soon become a reputable college," which became Harvard. Then educators began Yale, William & Mary, Princeton and Brown "with the same founding purpose, that the main end of one's life and studies is to know God and Jesus Christ," Ortberg writes. Each university began before the American Revolution. In fact 92% of the first 138 colleges and universities created in America were initiated by "followers of this uneducated, itinerant, never-wrote-a-book Carpenter," reports Ortberg. Everyone has heard of Sunday School. But how did it begin? In Great Britain, children had to work six days a week. Sunday was their free day. In 1780 A Jesus-follower named Robert Raikes could not stand the cycle of poverty and ignorance that was destroying little children. He declared, "I'm going to start a school for free to teach them to read and write and learn about God." That's what he did, and called it "Sunday school." Ortberg reports that within 50 years, there were 1.5 million children being taught by 160,000 volunteer teachers. "Sunday school was not a privatized, optional program for church kids. It was one of the great educational volunteer triumphs of the world." Christian missionaries who travelled to nation after nation discovered that their languages had not been committed to writing. For example, Saint Cyril who was a missionary to the Slavs, created the alphabet of the Slavic peoples which became known as Cyrillic, so that the people could read about Jesus in their own language. Christian missionaries compiled the first alphabets, dictionaries and the first grammars. For example, a Methodist missionary, Frank Laubach, began a worldwide literary movement. He coined the phrase, "Each one teach one," and personally traveled to more than 100 countries, "to the development of primers in 313 languages. He became known as the Apostle to the Illiterates," Ortberg reports. Another pioneer was Johannes Kepler, a great mathematician and astronomer of about AD 1600, after whom NASA named a telescope in 2009. Kepler wrote, "God, like a Master Builder, has laid the foundation of the world according to law and order. God wanted us to recognize those laws by creating us after His image so we could share in His own thought...Love the Lord your God...with all your mind" - and people did! The vast majority of science pioneers - William of Ockham, Francis Bacon, Galileo, Copernicus. Blaise Pascal. Joseph Priestly, Louis Pasteur. Isaac Newton (who ended up writing commentaries on Revelation) - "viewed their work as learning to think God's thoughts," writes Ortberg. Albert North Whitehead, a major 20th century thinker, asked, "What is it that made it possible for science to emerge in the human race? It's the medieval insistence on the rationality of God." Mechanical clocks were invented by monks to know when they should pray. Eyeglasses were invented by monks around 1300 so that they were better able to study Scripture. "The Renaissance," wrote Konrad Burdach, "which establishes a new concept of humanity, of art, and of literary and scholarly life (arose) not in opposition to the Christian religion, but out of the full vitality of a religious revival." One day a carpenter left his shop and began to teach. Ortberg asks, "What would the history of our world be if Jesus had not changed careers? Imagine that he stays in his shop: there is no teaching ministry, co crucifixion, no rise of the church, no New Testament scriptures, no monastic communities. The reason for which Oxford and Cambridge and Harvard and Yale got founded does not exist." "Who Is This Man?" The spark of civilization itself.